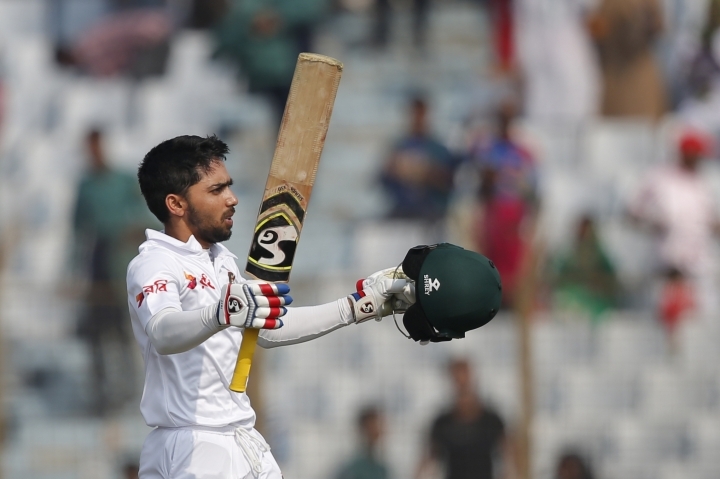 CHITTAGONG, Bangladesh — Mominul Haque hit 103 ball-107 not out as Bangladesh reached a dominant 250-2 at tea on the first day of the opening test against Sri Lanka on Wednesday. 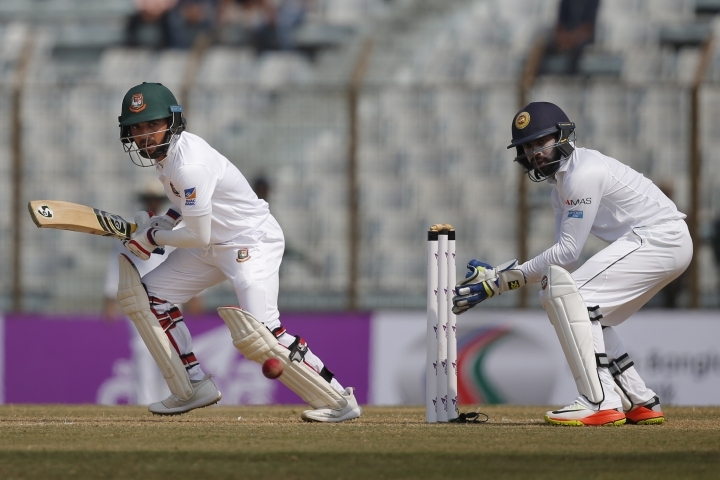 Mominul and Mushfiqur Rahim combined for a 130-run for the third wicket, keeping Sri Lanka frustrated throughout the second session of the day. Rahim, who joined Mominul just after the lunch, showed great determination in his unbeaten 47 off 107. 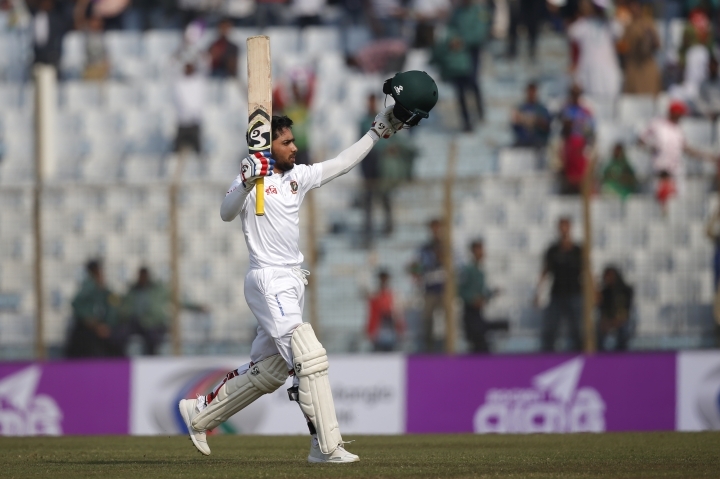 Mominul took just 96 balls to reach his fifth century, which was the second fastest ton for Bangladesh after Tamim Iqbal who made 94 ball-century against England in Lords in 2010. 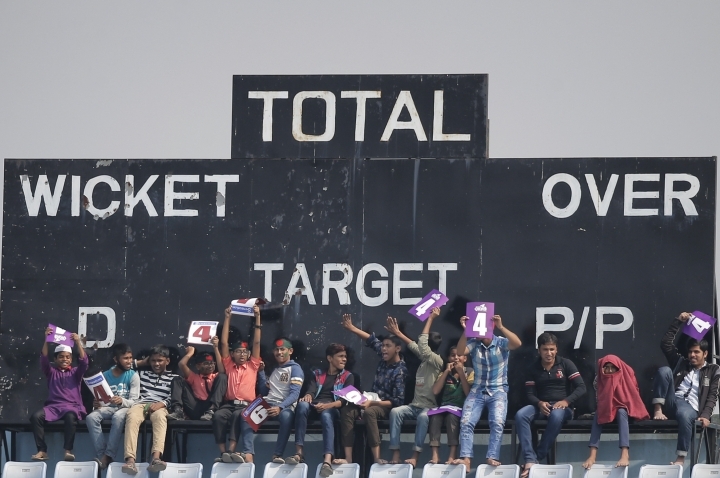 Mominul hit 13 boundaries so far in the innings. 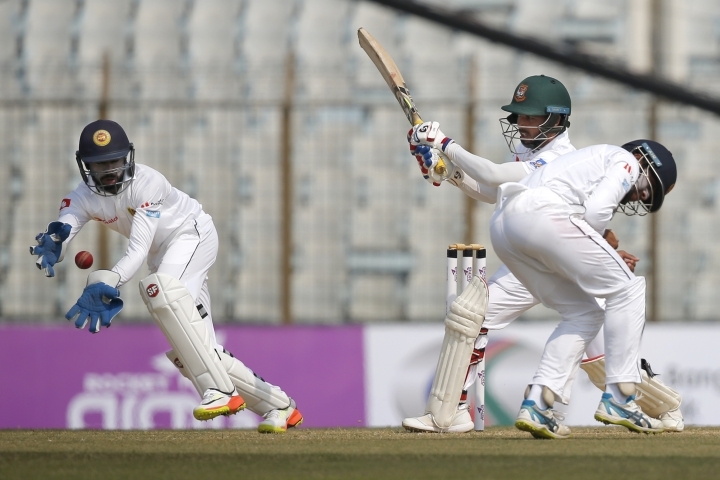 Opener Tamim Iqbal launched Bangladesh's innings in aggressive style, hitting pace bowler Lahiru Kumara three boundaries in succession in the second over of the day. 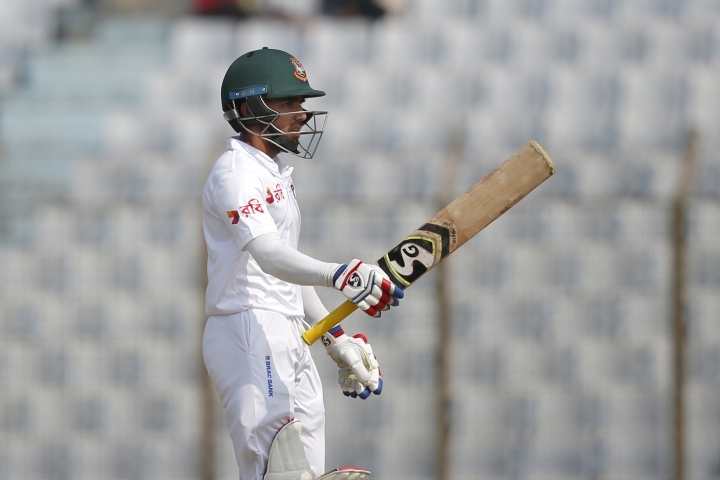 Tamim and his fellow opener Imrul Kayes shared 72 runs in just 16 over, much to the frustration of the visitors. 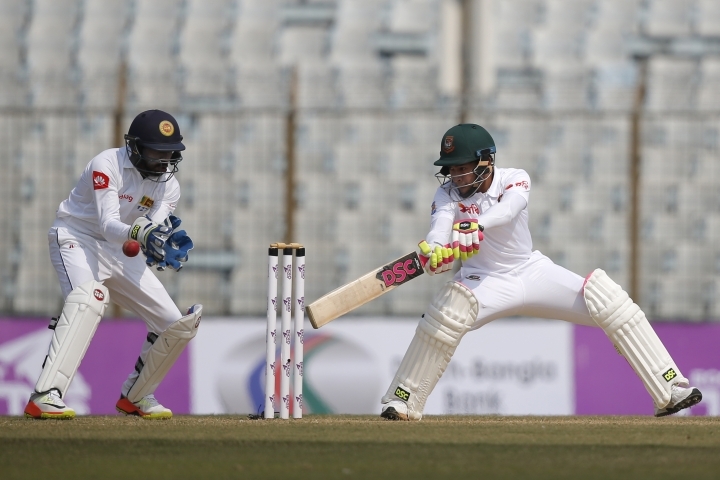 The opener reached his 25th fifty off just 46 balls and looked solid until off-spinner Dilruwan Perera crashed his stump with a quicker one. 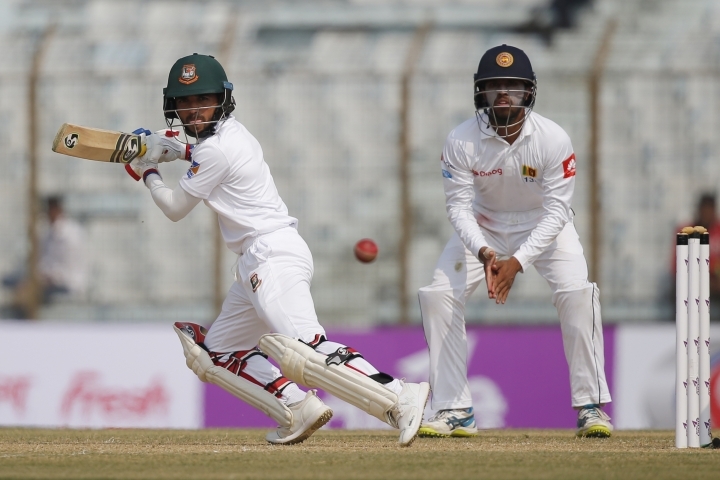 Tamim struck six fours and one straight six off Perera bowling in the innings lasting for 53 balls. Kayes made 40, before Sandakan had him leg-before on the stroke of the lunch. 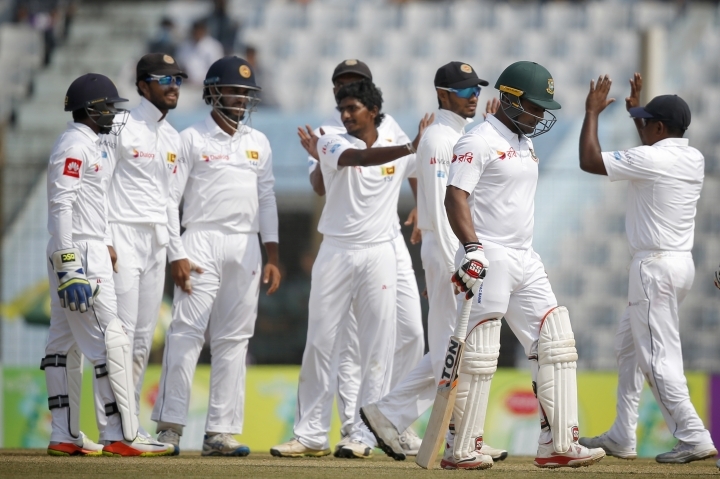 Sandakan (1-39) and Perera (1-78) shared two wickets between them.